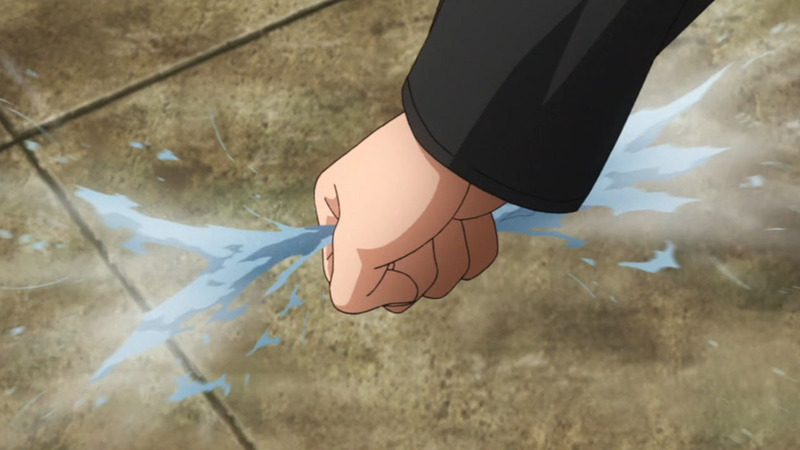 Gaara got waylaid by Urashiki, and had some mysterious chakra extracted from him – probably the remaining piece of Shukaku. 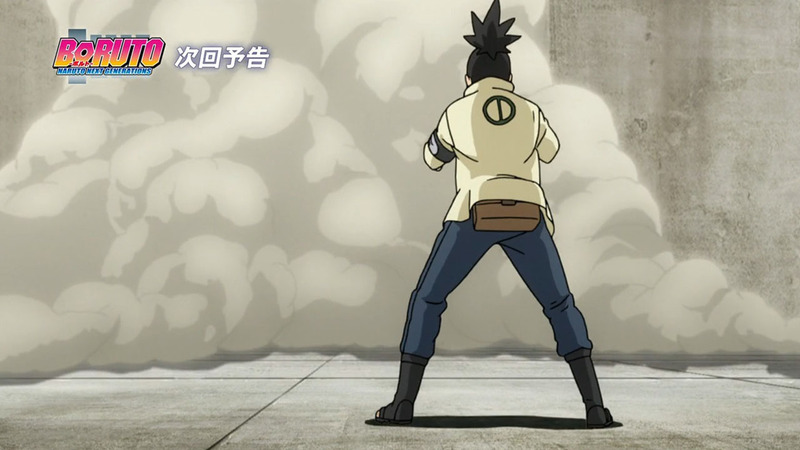 While this poses a serious issue in terms of security, so much that it might warrant the cancellation of the Chunin Exams, the show must go on! 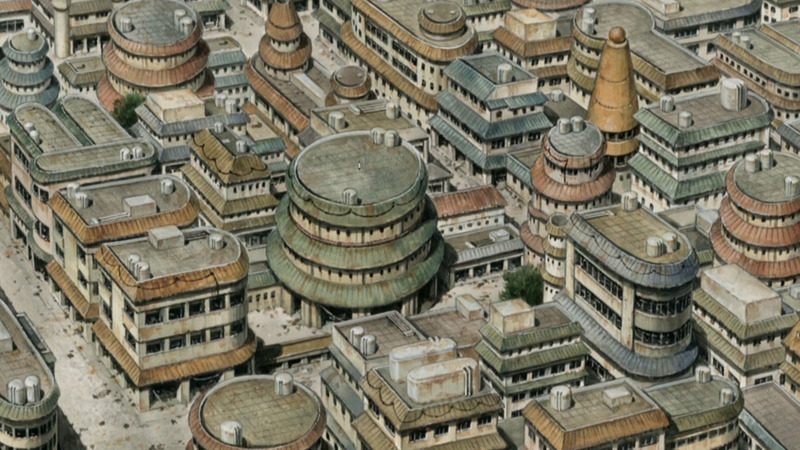 There’s a geopolitical hot potato on hand, with tensions rising between the feudal lords who preside over each Lands. 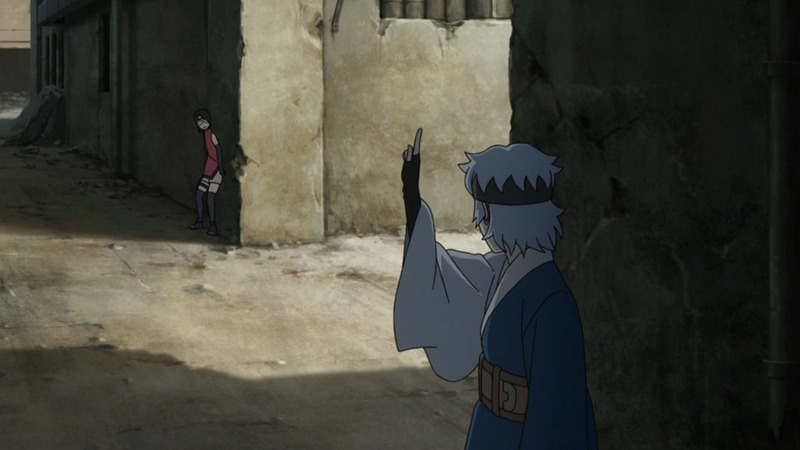 If you remember, this was actually touched upon in Kagura’s arc, and the Chunin Exams have somehow become a cornerstone to diplomatic reconciliation. 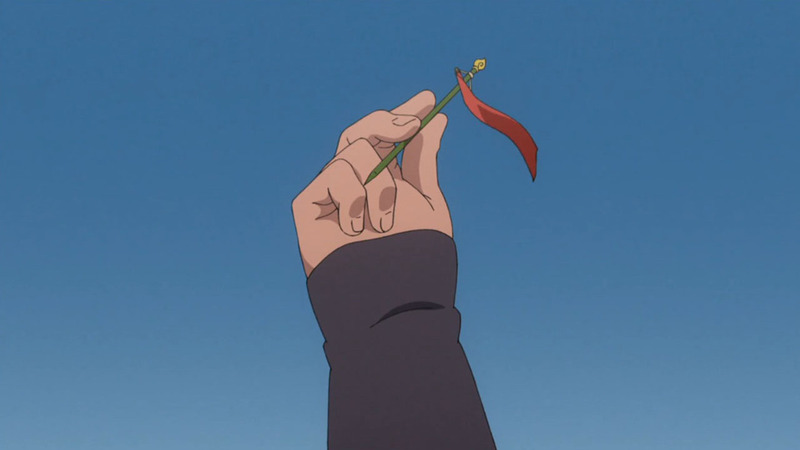 Moving on, the second round reminded me of Capture the Flag in Overwatch. Only it’s 3v3, featuring Genji alts with varying abilities. 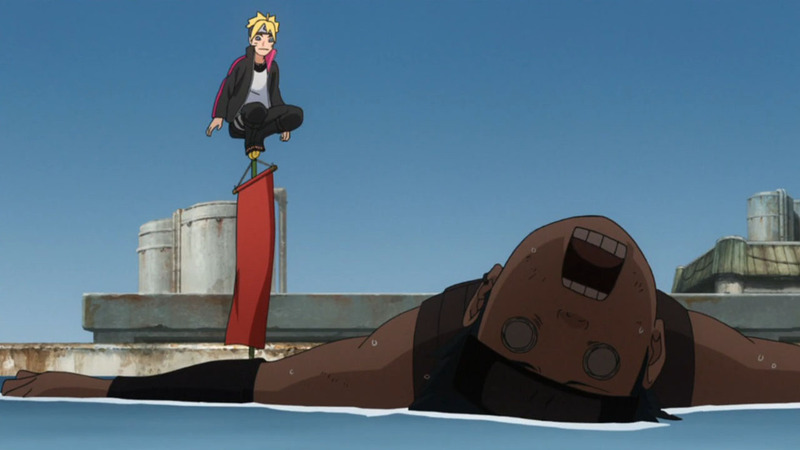 Good thing Shinki isn’t a psychopath, otherwise Metal might have been permanently crippled, though the lad certainly put up a good fight. 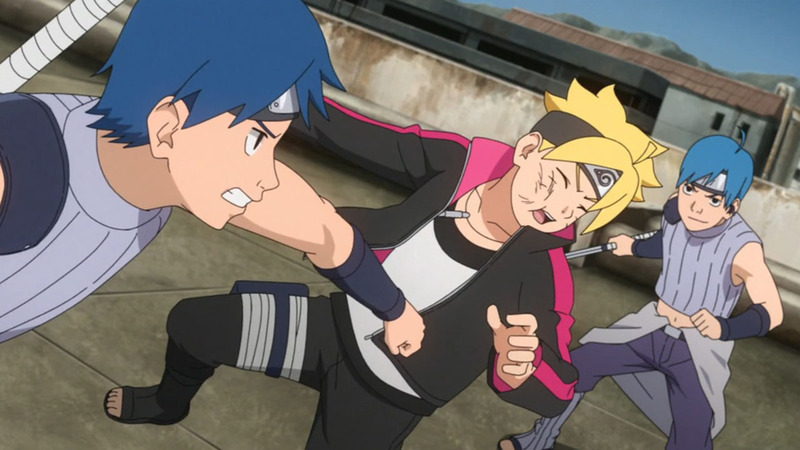 Sadly, it sucked that Team Udon got knocked out so easily, but it couldn’t be helped. 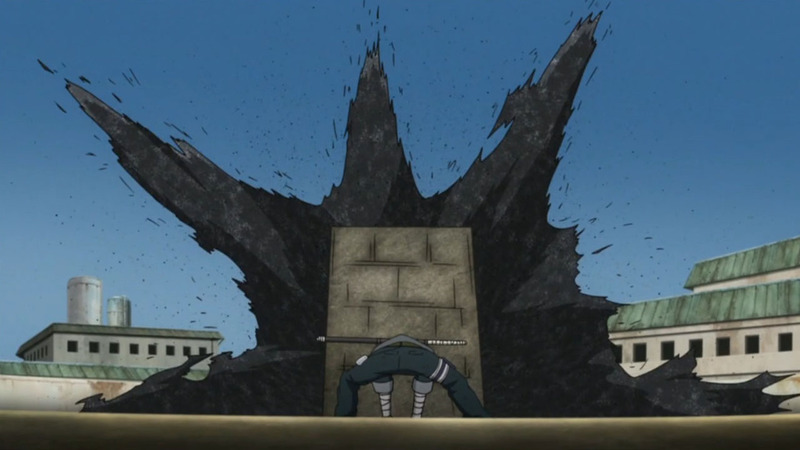 Any other team would certainly have lost, since Shinki is on a whole other level, and it was their bad luck to be matched up against him. 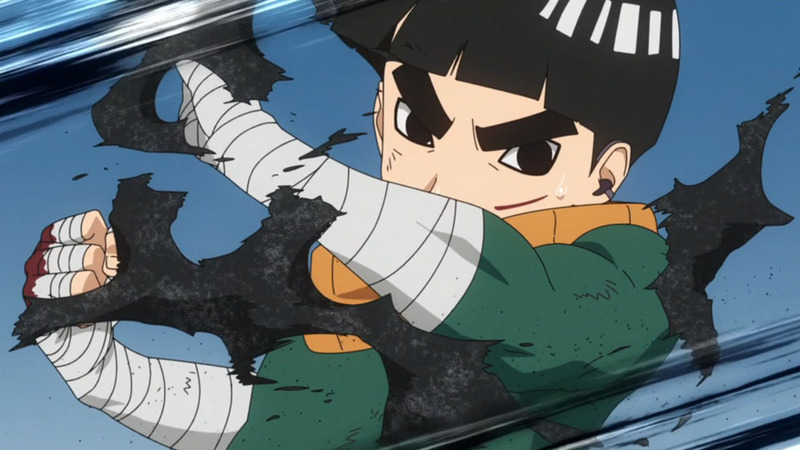 That said, I do wish that Iwabe could have put up more of a fight, seeing how he got curbstomped and put out of commission in mere seconds. 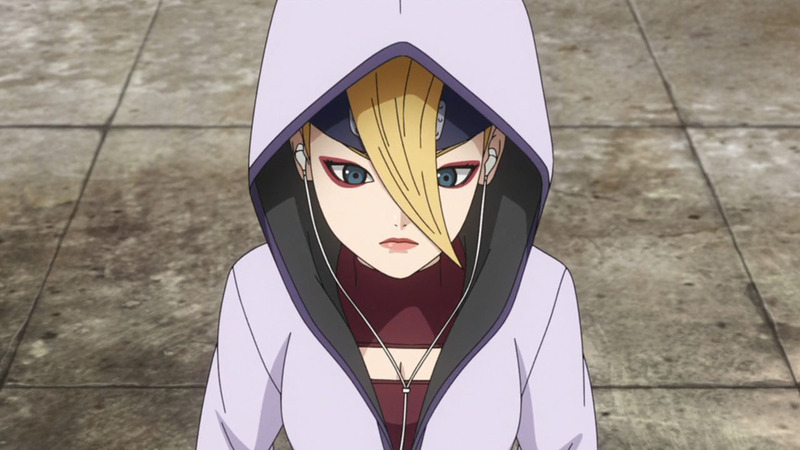 When it gets to the 1v1 round, while we’re obviously going to be looking out for Shinki, I can’t wait to see what the other members of Team Shinki can do, especially the headphone girl. 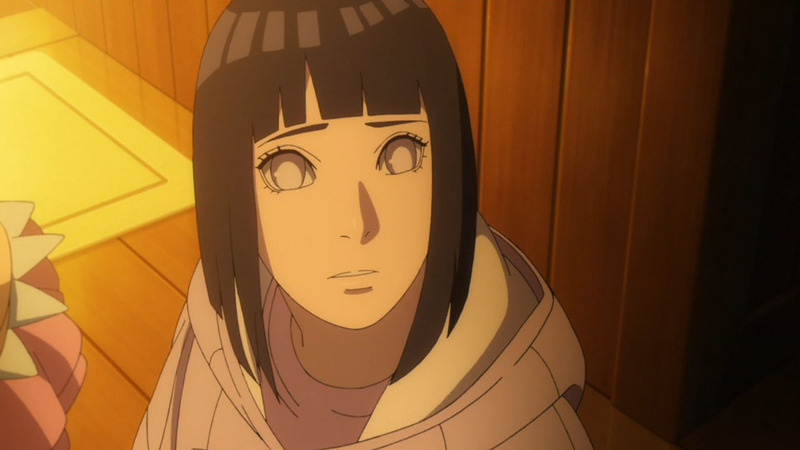 I was thoroughly let down by Sumire’s exit, which was entirely dictated by Namida being a liability. 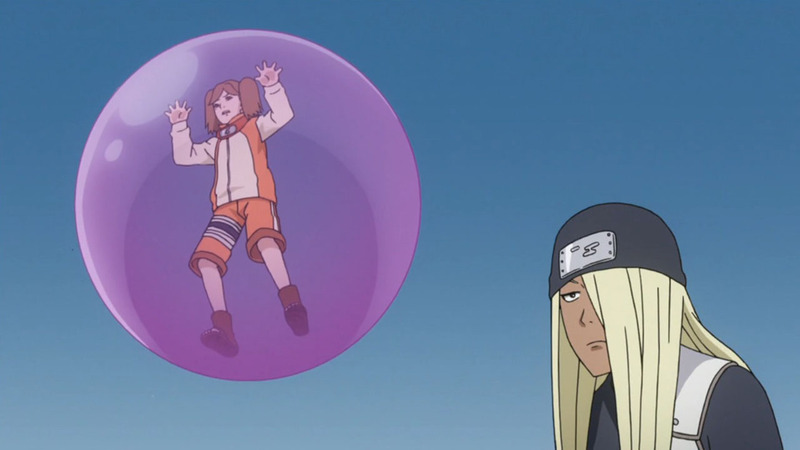 What stopped her from letting out a supersonic cry to burst the bubble? 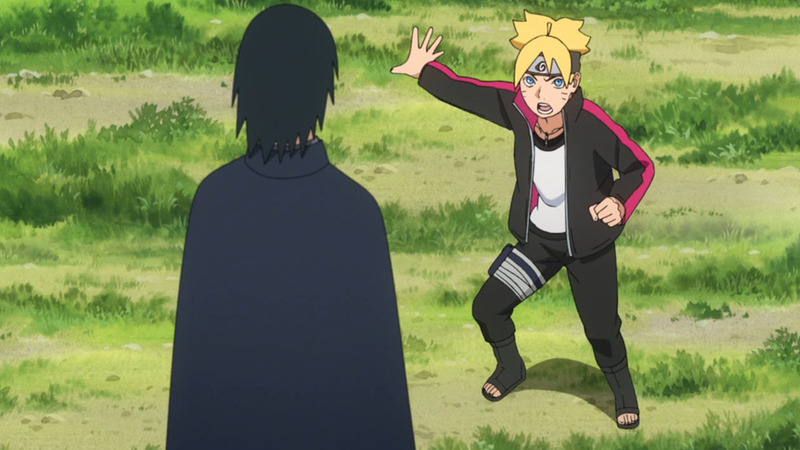 You have a special jutsu, now’s the time to use it! Jeesh. 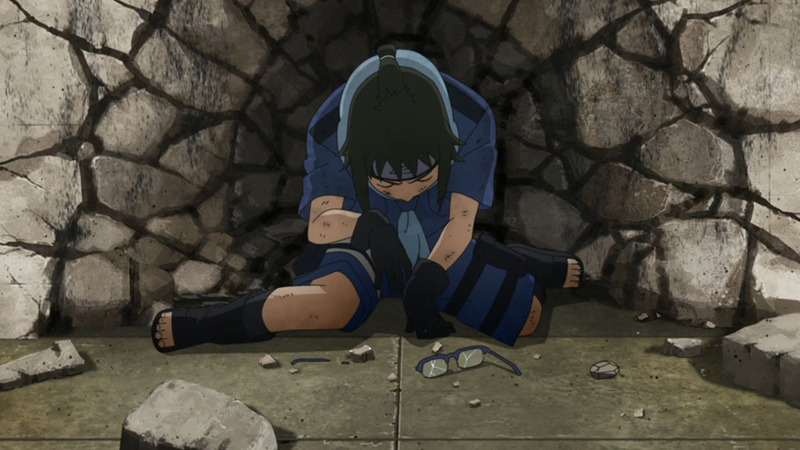 I’m disappointed that Sumire put so much thought and attention into preparing for the exams, but lost it all due to something that was mostly outside her control. 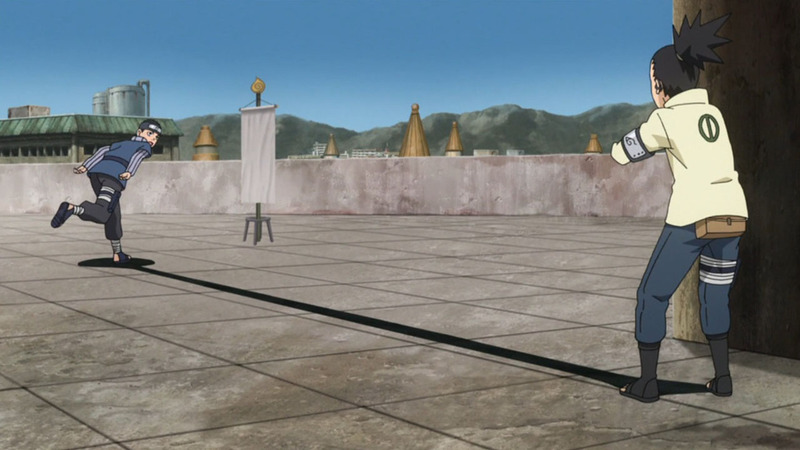 Given how she could hold up against Mitsuki, she totally would have shone in the 1v1 round! 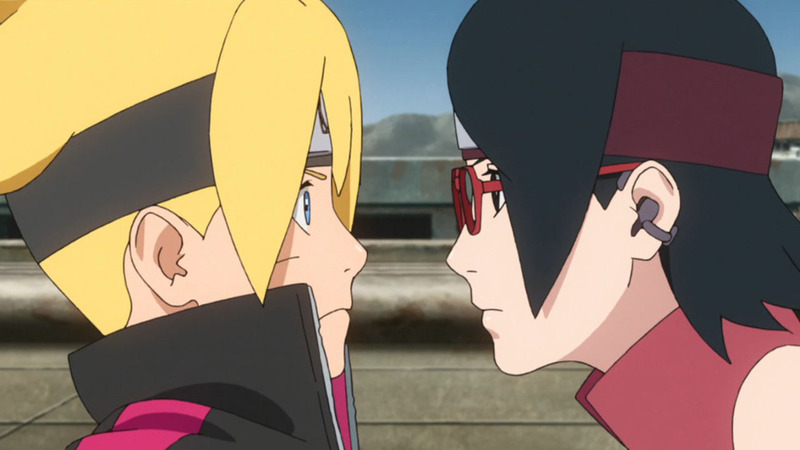 At least this means we’re probably going to get a grudge match between Boruto and Yurui. 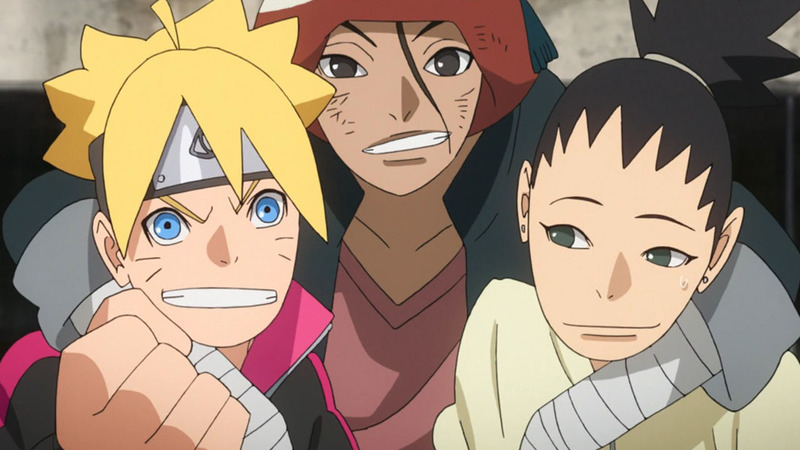 Fortunately, the Ina-Shika-Cho trio are looking powerful for yet another generation. 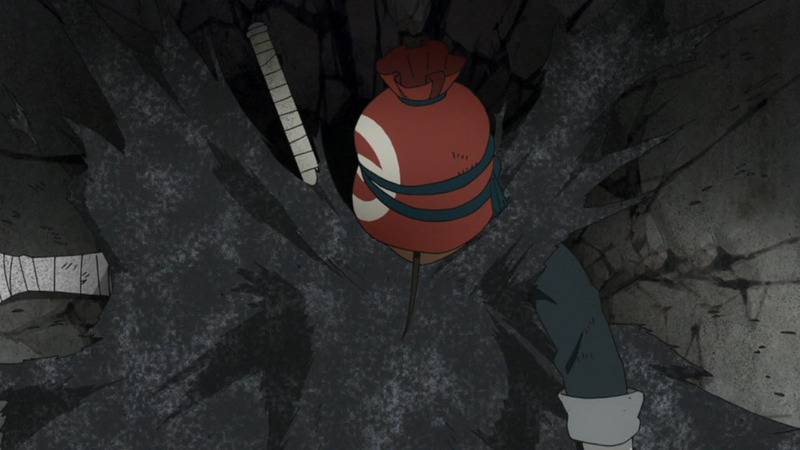 Rather than focusing on the spirited defence made by Shikadai and Inojin, I actually want to talk about ChoCho. 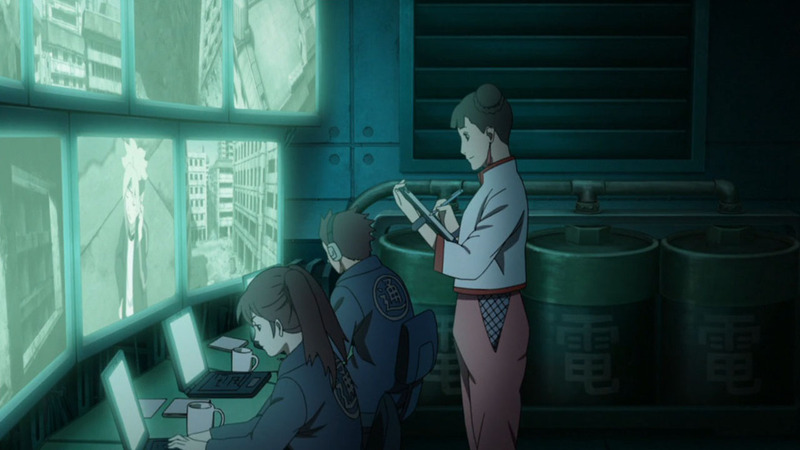 I honestly believe that she must be a prodigy of the Akamichi clan, given how she could grow to such a massive size, presumably without the assistance of a soldier pill. 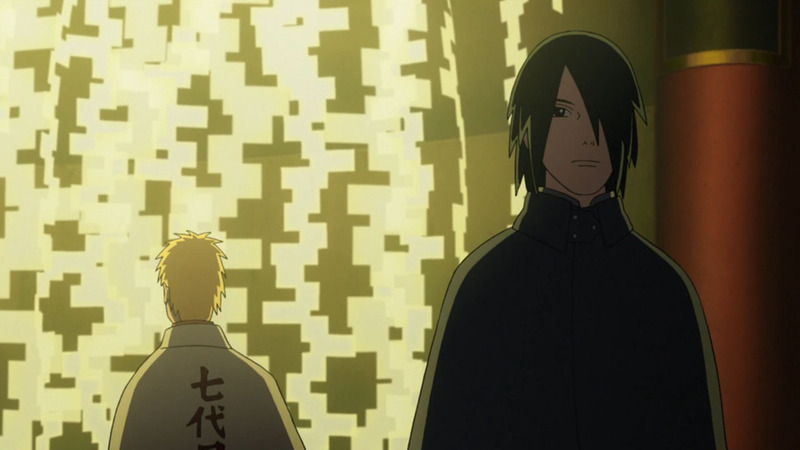 Their strength might lie in teamwork, but I look forwards to seeing them in action during the 1v1 round, considering the unique abilities they can pull out of the bag. 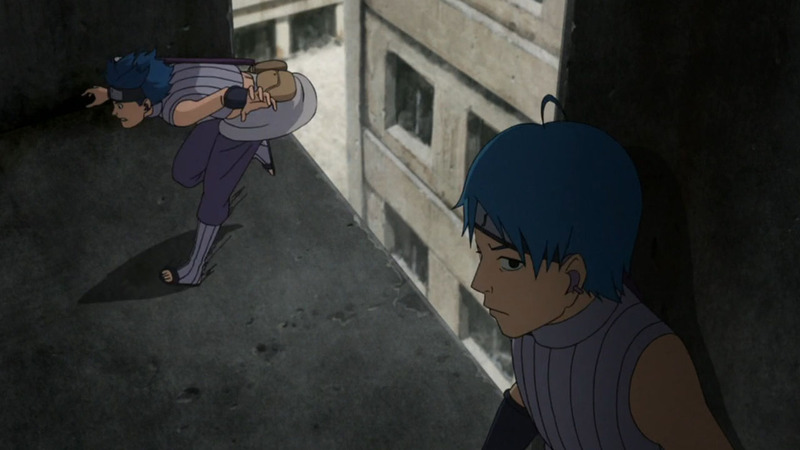 Sarada and Mitsuki took a cautious approach, anticipating potential encounters/ambushes. 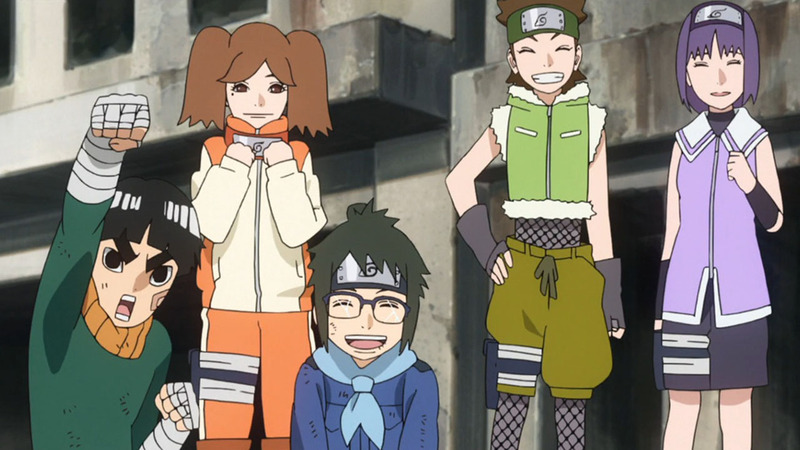 However, the Kirigakure siblings planned on going for the jugular from the very start. 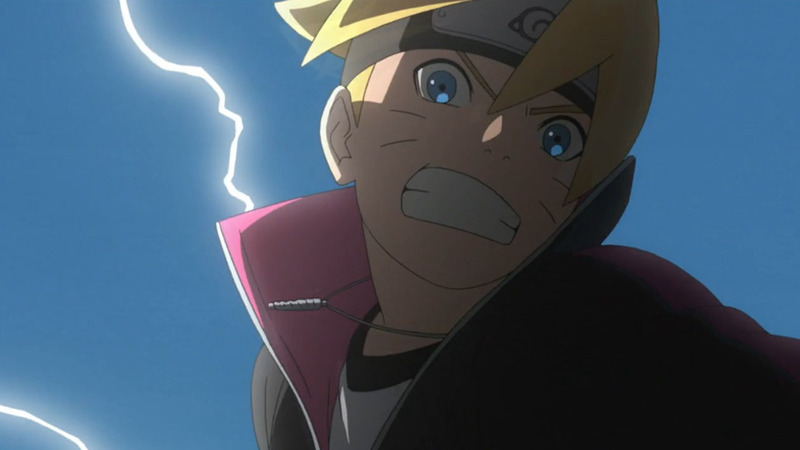 They wasted no time in launching a lightning paced assault onto Neo Team 7′s flag, guarded by only Boruto. 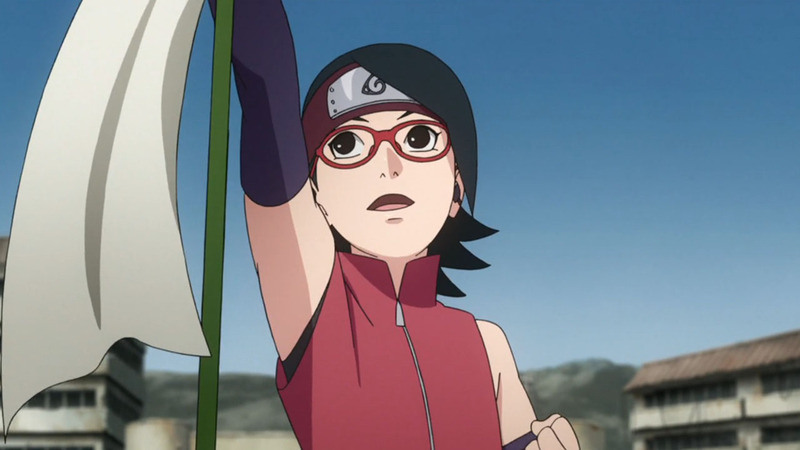 Because genjutsu can be seen through by the Sharingan, and they left the flag unguarded so that they could attempt this risky strategy, I was about to criticise the Kirigakure siblings for not doing their research on Sarada. 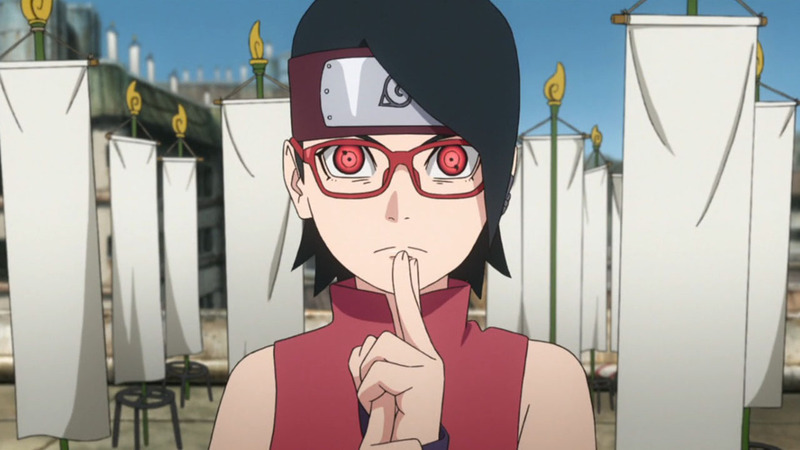 However, I remembered that Konoha keeps all information relating to the Sharingan and the Uchiha a deeply classified secret. 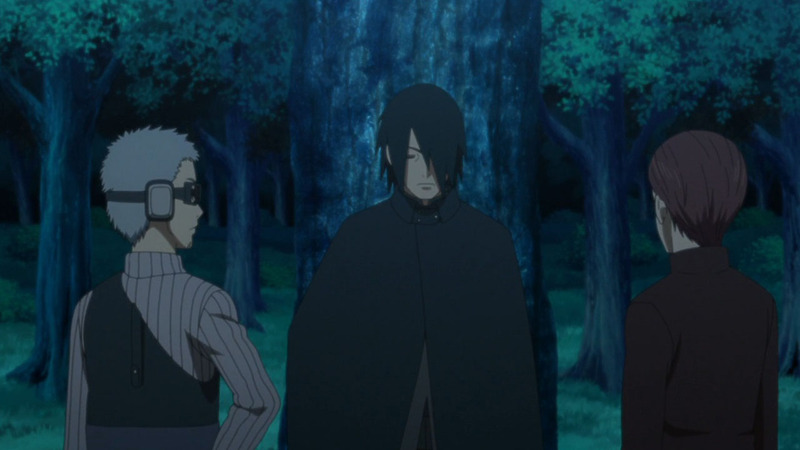 Even if their defence would have been useless against Sarada, I can’t help but admire their strategy, which no doubt would have succeeded if not for Boruto’s cheating. 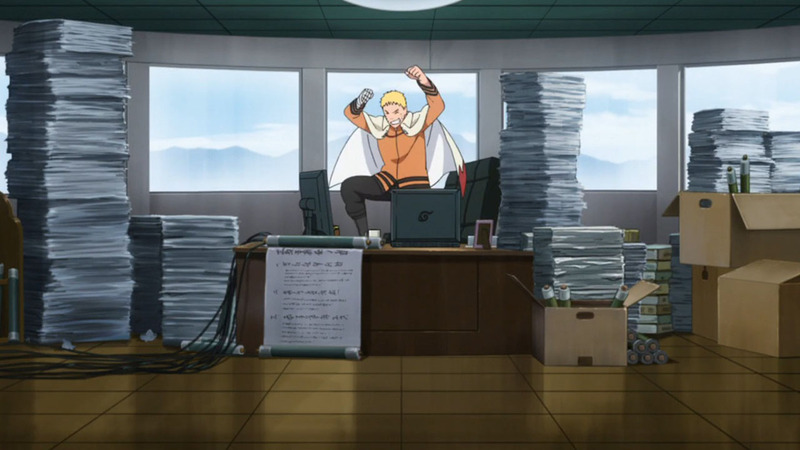 His lightning kote might have been impressive and generated of his own skill, but using the Scientific Ninja Tool was an extremely low blow. 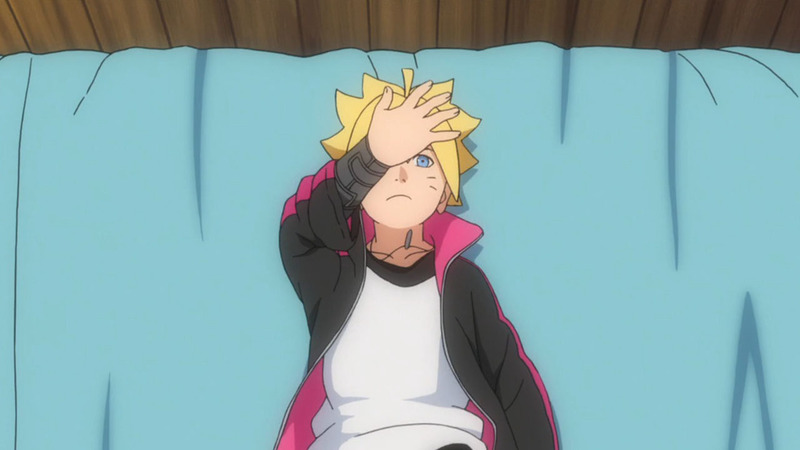 As time goes on, teams that deserve to progress are being knocked out, while Neo Team 7 undeservedly carry on. 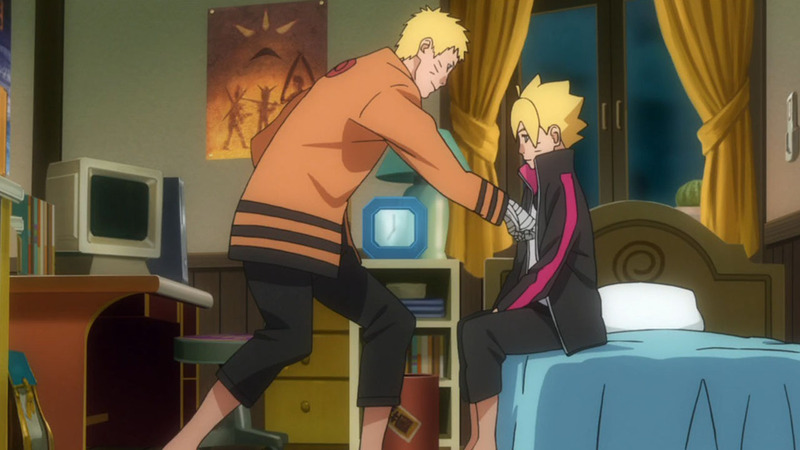 Papa Uzumaki pretending to be unfazed, then celebrating like mad really made me smile. 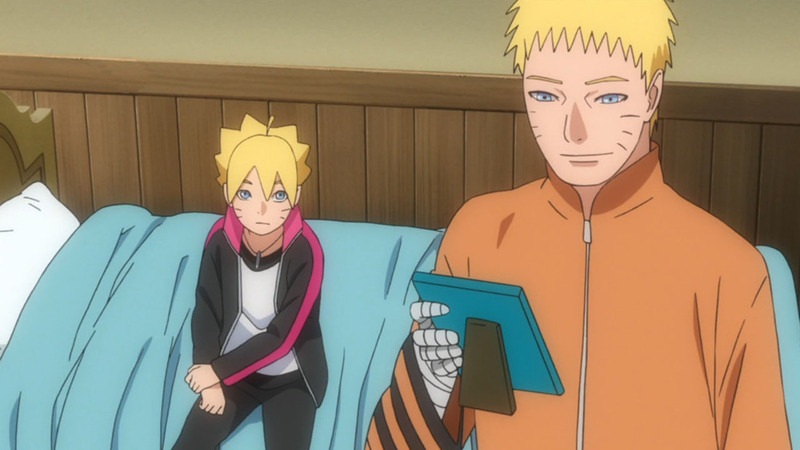 Sadly, it will be extremely excruciating once Naruto discovers Boruto’s dishonesty. 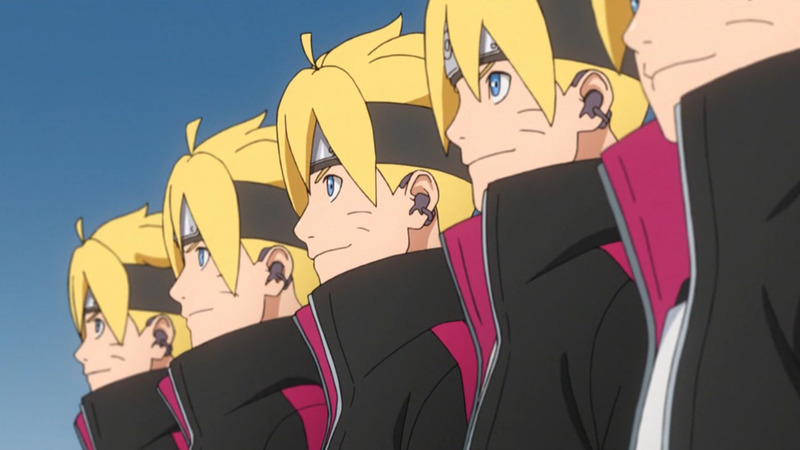 Ironically, for all his talk of carving out a legacy outside of Naruto’s shadow, Boruto is coasting precisely because he’s Naruto’s son. 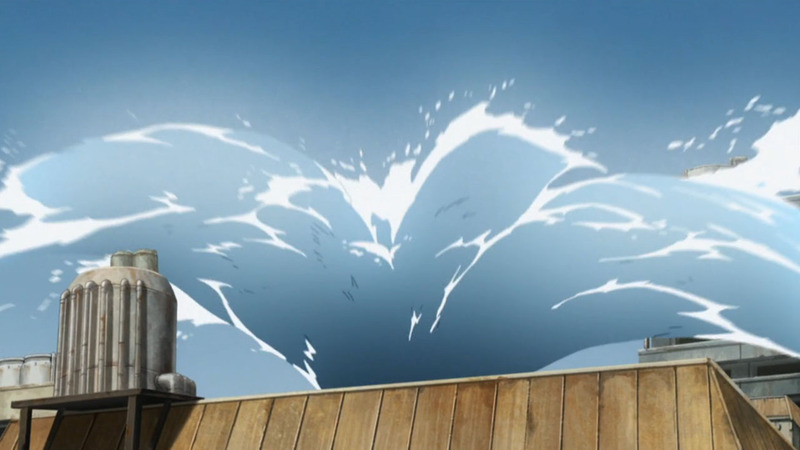 When he unleashed that water jutsu, Tenten gave him complete benefit of the doubt, allowing his suspicious activity to go undetected. 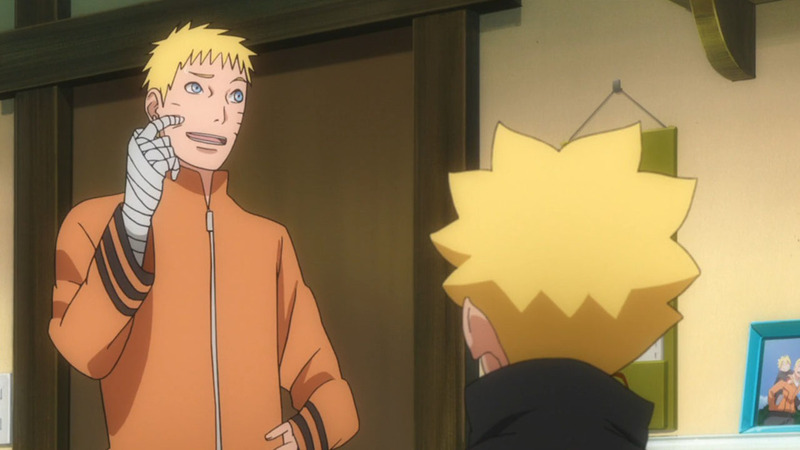 Should Naruto have had more of a presence in Boruto’s life, rather than leaving it so late to try and patch things halfheartedly? 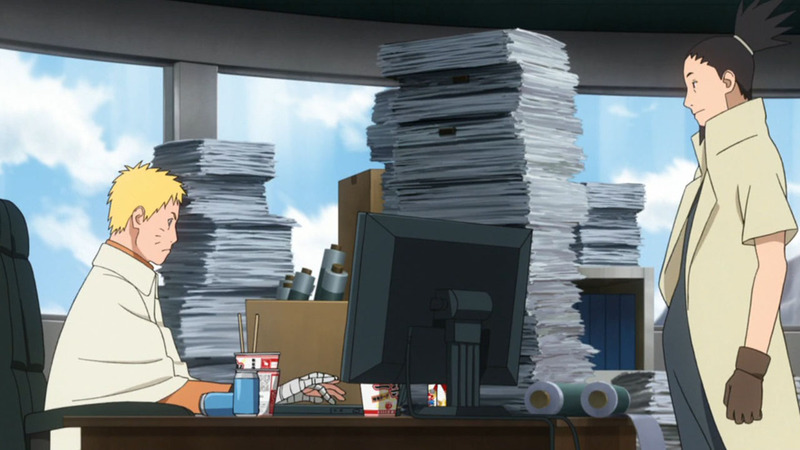 Definitely, and I think a father’s gotta to do that job. 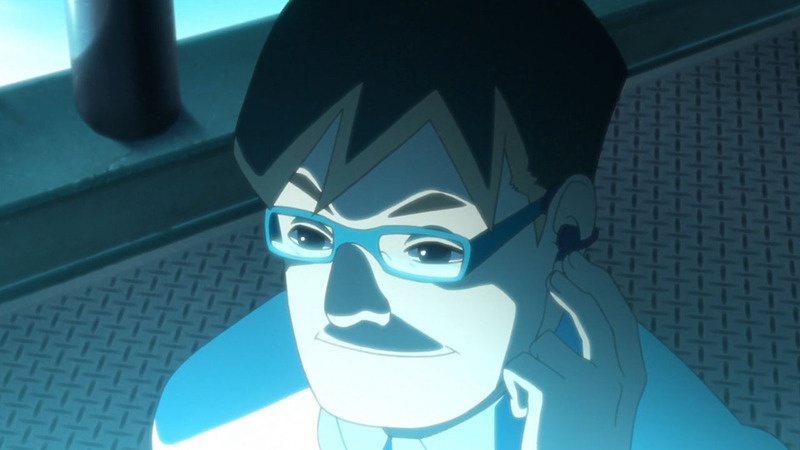 A stronger presence might have firmly taught Boruto the distinction between right or wrong, while keeping a vigilant eye may have ensured that rogue elements like Katasuke weren’t leading him astray. But I’m digging the drama that could potentially develop out of this. 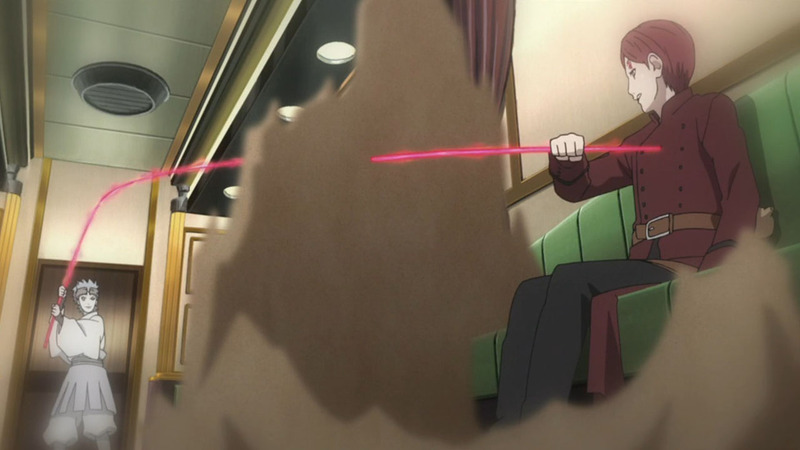 So far, the anime has done a really great job of filling in the gaps left behind by the movie. I really appreciate that they’re taking the time to go over things, and make the experience feel more comprehensive. 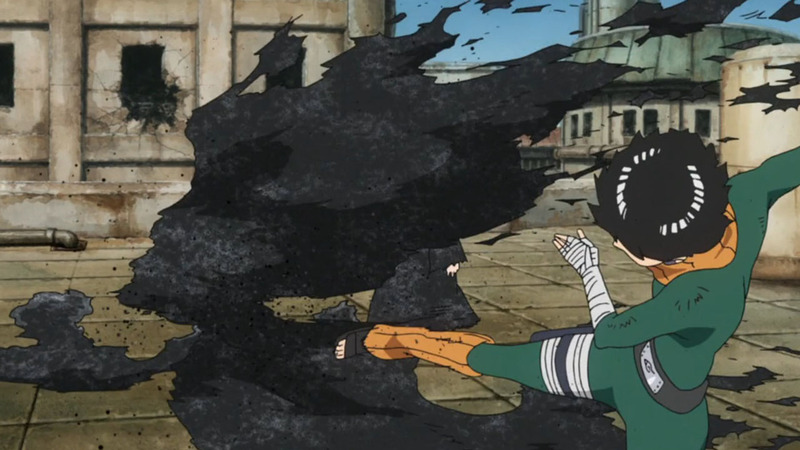 With the final round of the Chunin Exam fast approaching, I can’t wait to see how the 1v1 fights are going to pan out. We will really be able to see everyone’s skills be put on display which is quite important, because these youngsters hailing from foreign lands might become mainstay rivals for the rest of the series. 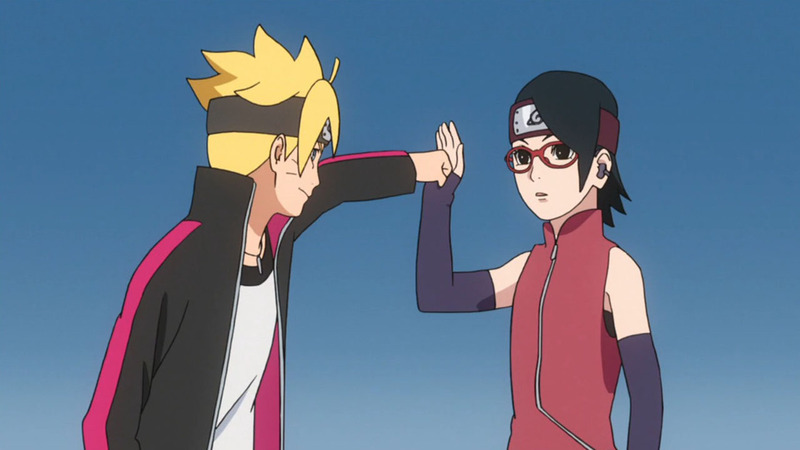 That’s all for this week folks. Thanks for reading my post, and hope to see you next week! 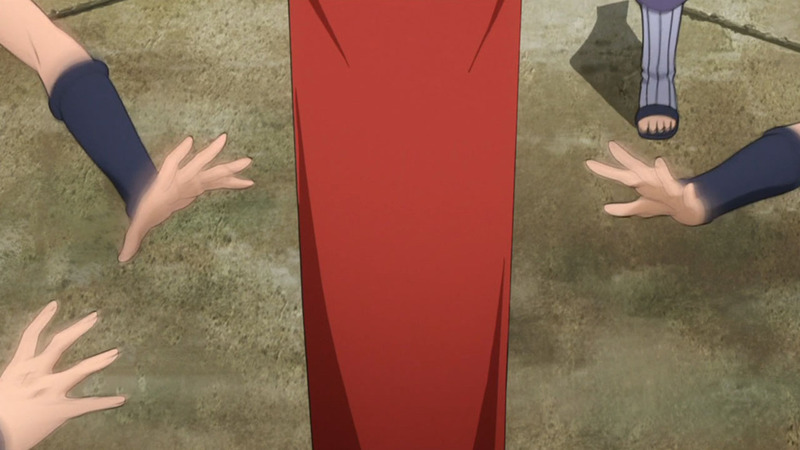 While it was good that Gaara adopted a son, I wonder why he is still single. 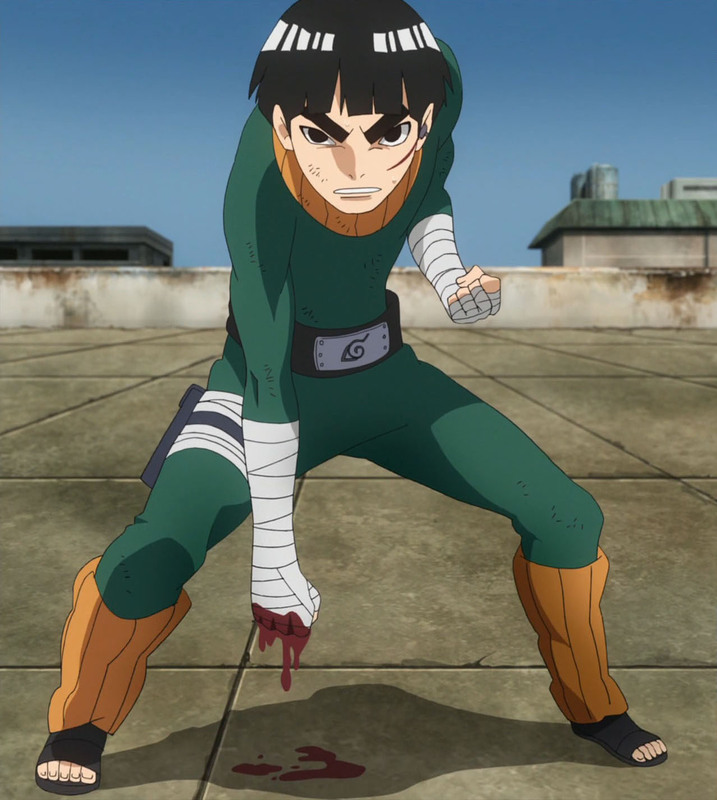 I recalled that a lot of girls go “Kyaaaa” for him when he came back to life. 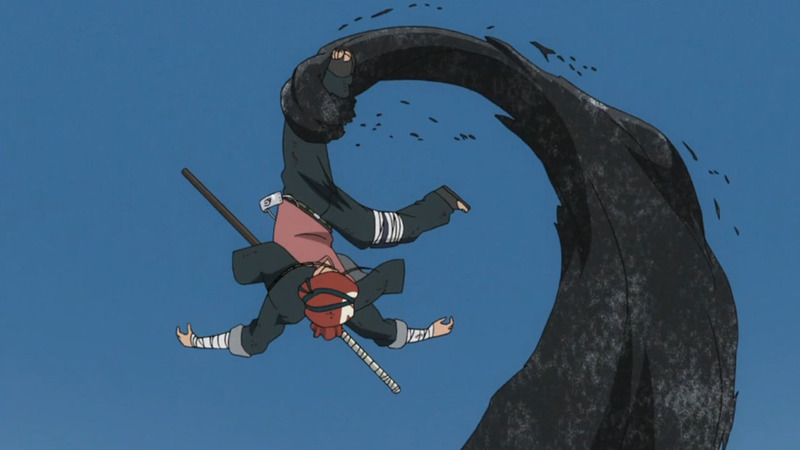 Let me tell you, I’ve always thought that Gaara was either asexual or gay for Naruto. 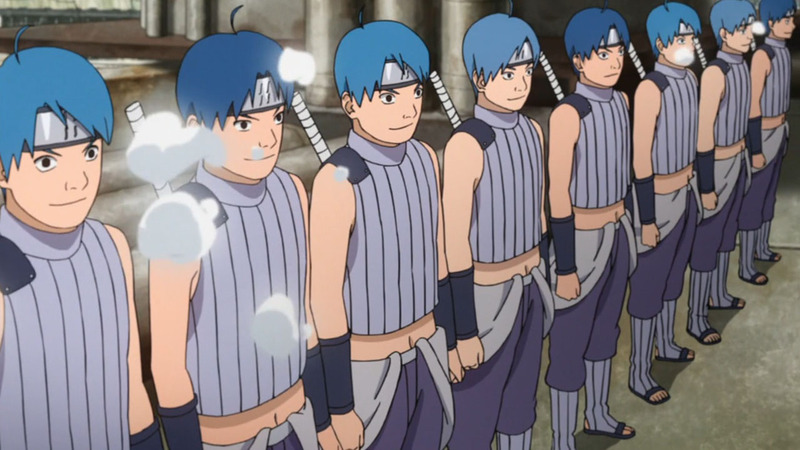 Didn’t the village try to make him marry a girl in his gaiden? And he backed off because she already had someone? 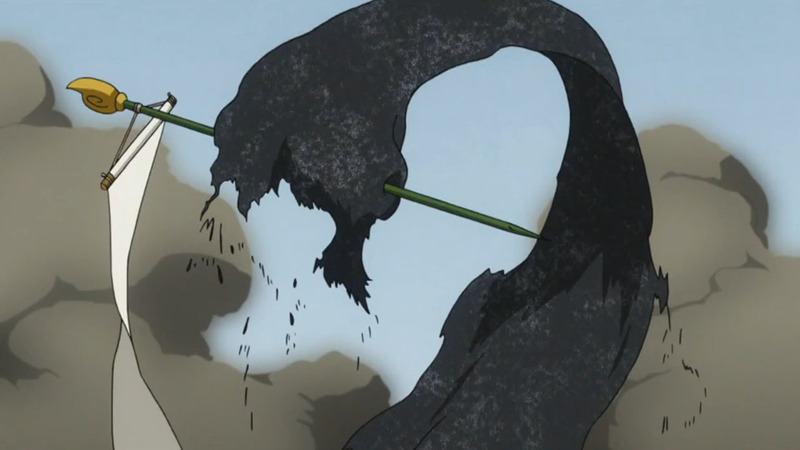 Well, he has a pretty rough childhood. 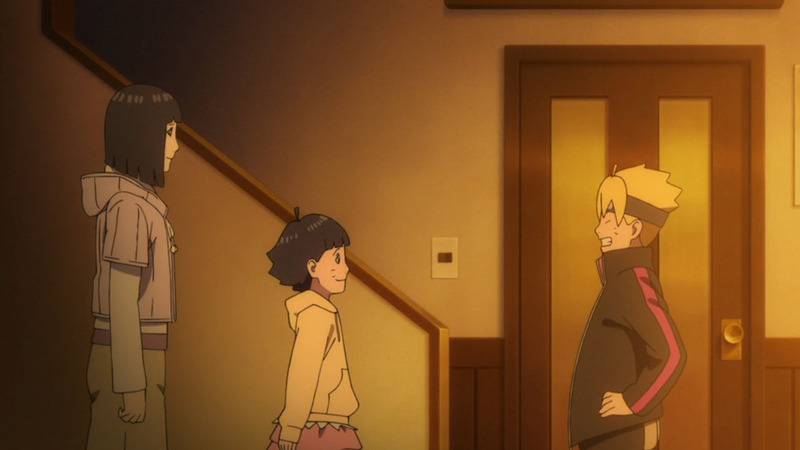 Would not be surprised if that cause him to avoid having a family. 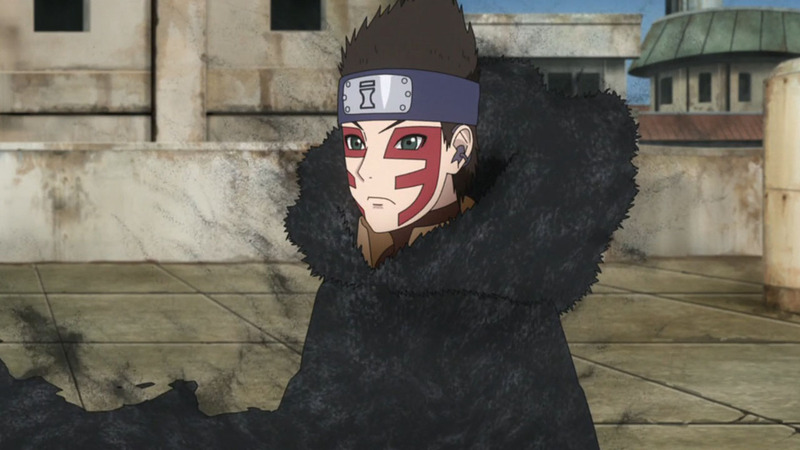 He adopted Shinki probably due to the kid having a “special chakara”? 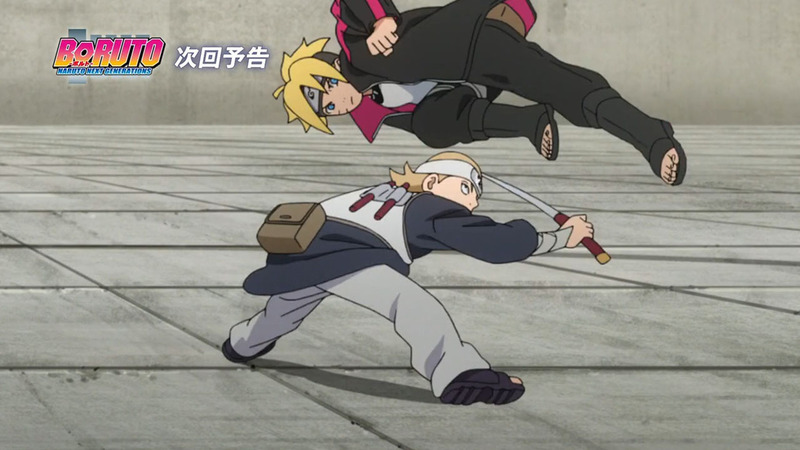 (can’t remember the exact quote) with the thought that the kid will grow up to be an important ninja for Sunagakure. 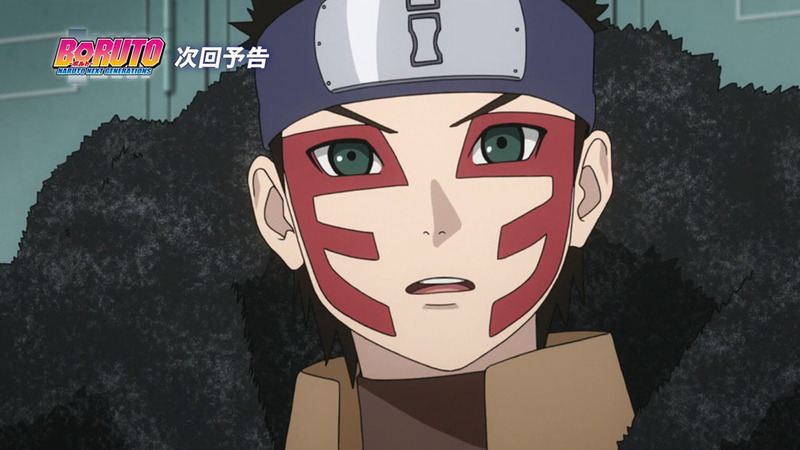 If anything Kankuro is probably the one who spend the most time looking out for Shinki, that will explain why he wear facepaint like Kankuro did.